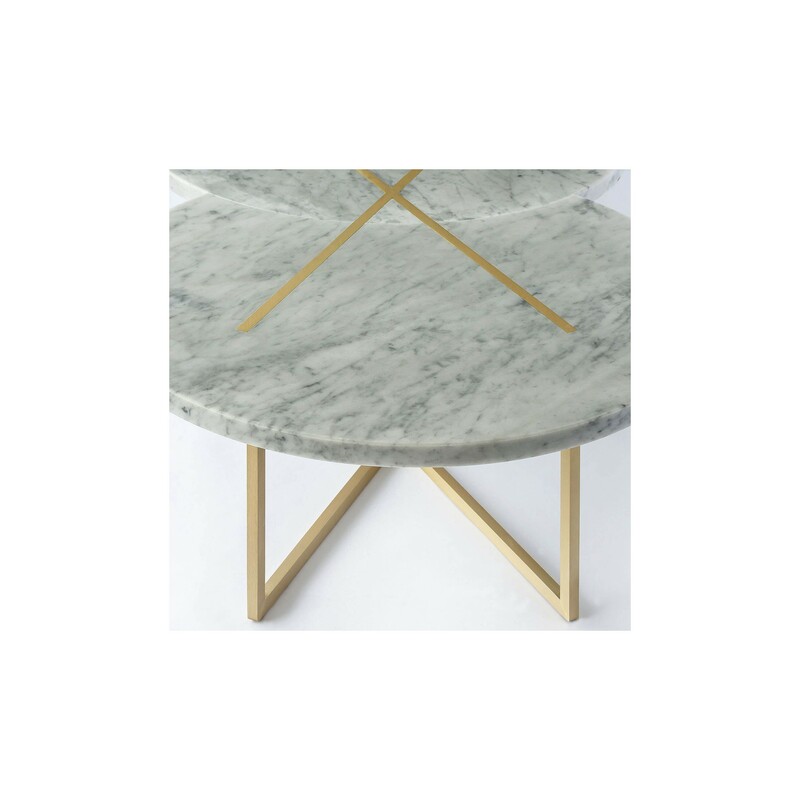 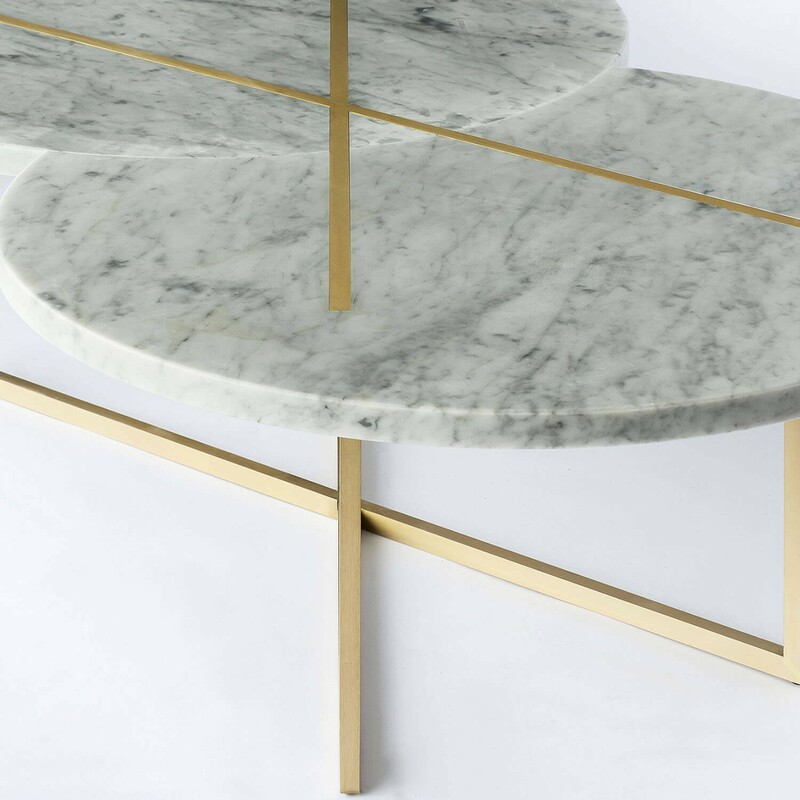 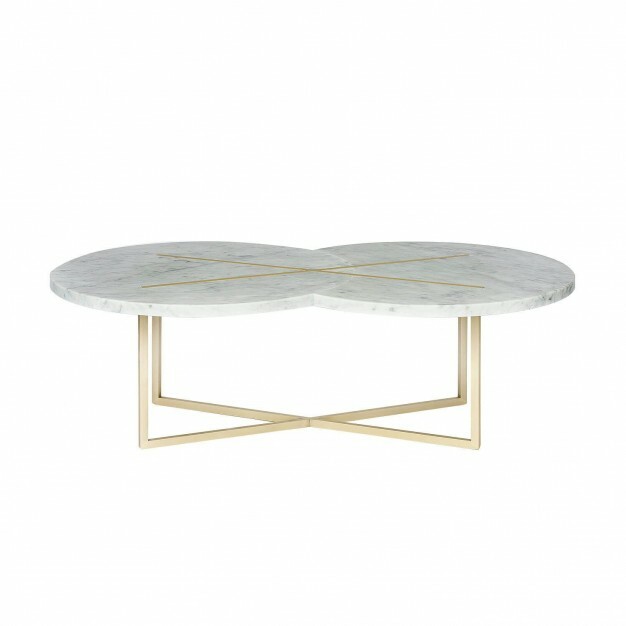 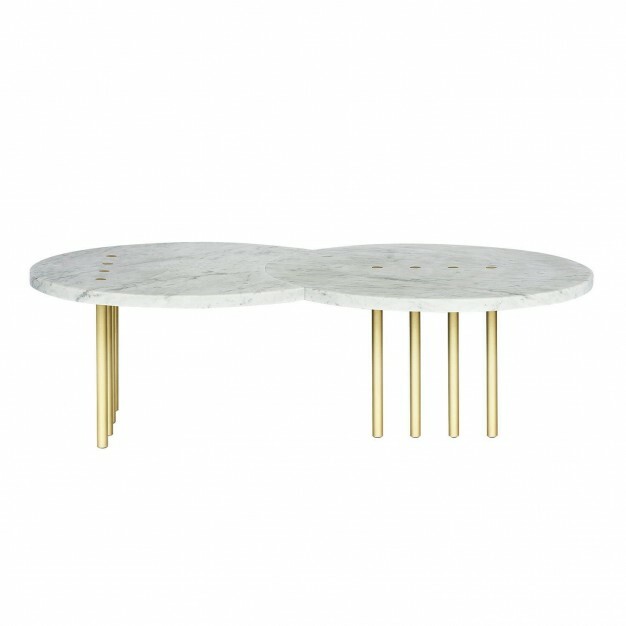 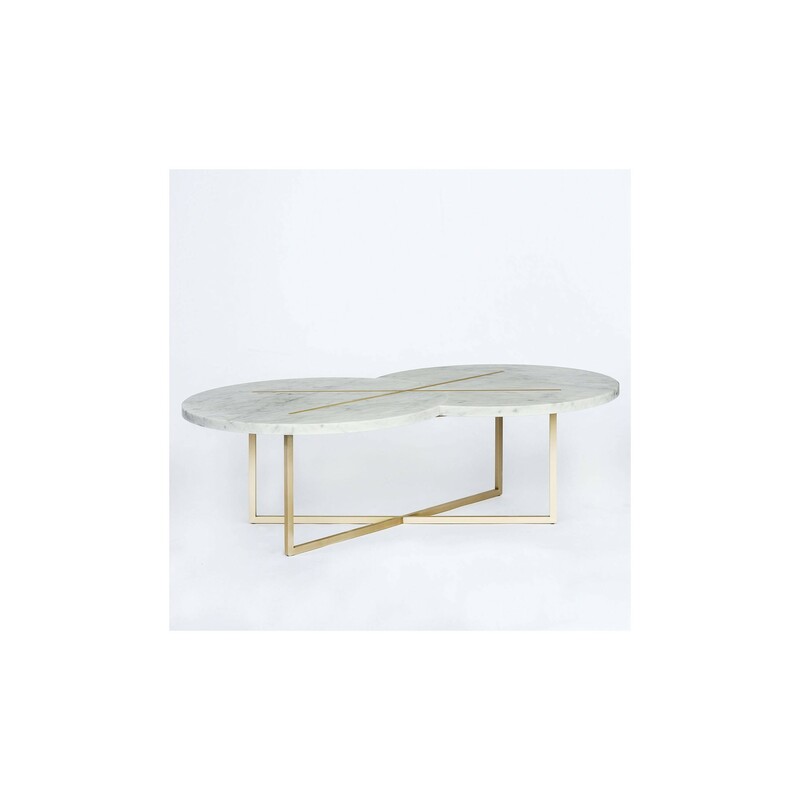 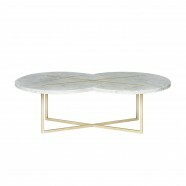 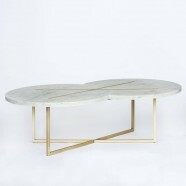 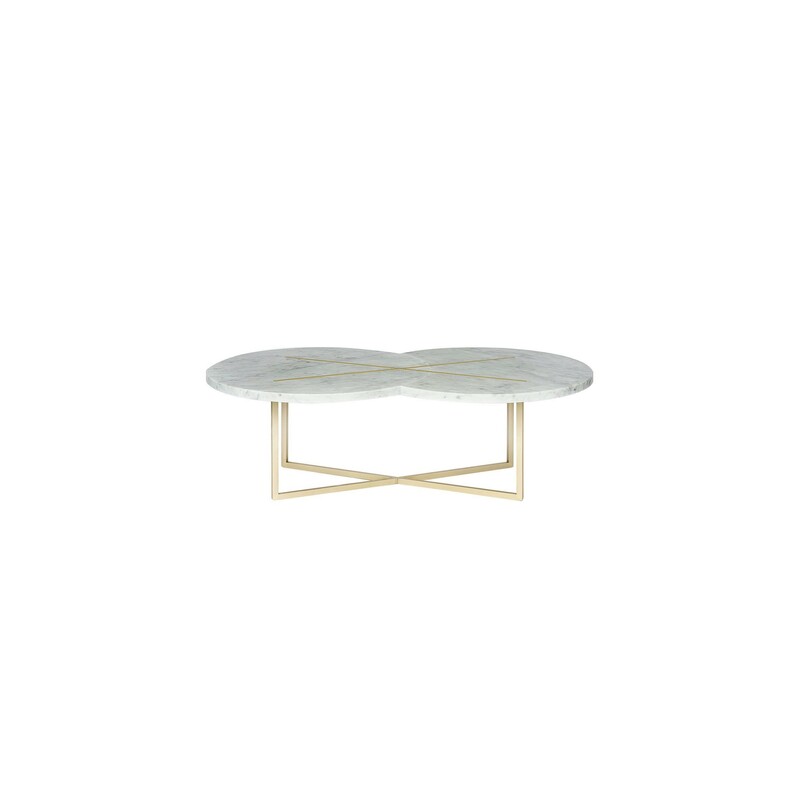 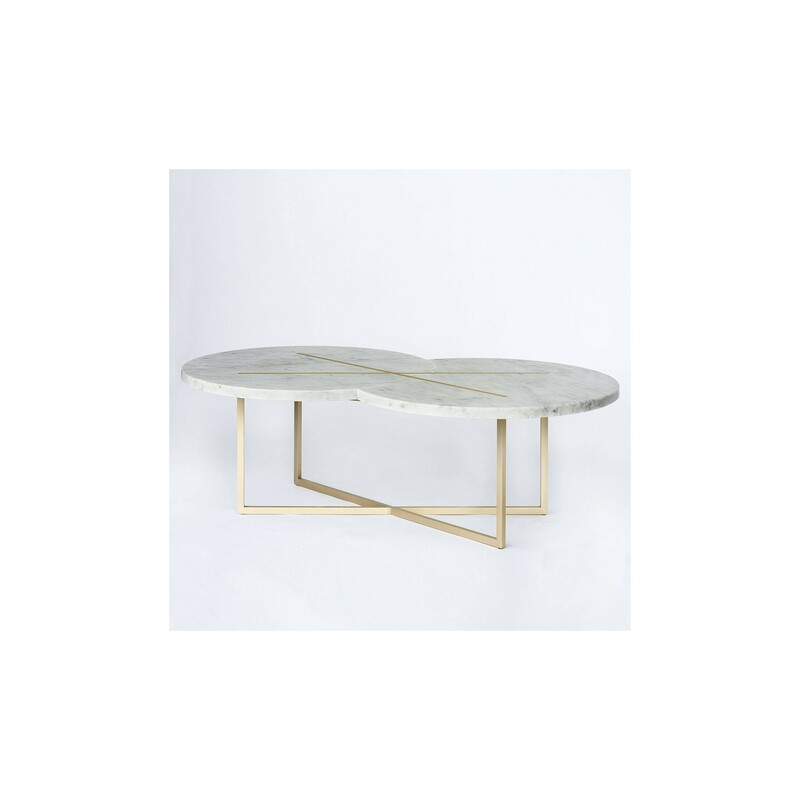 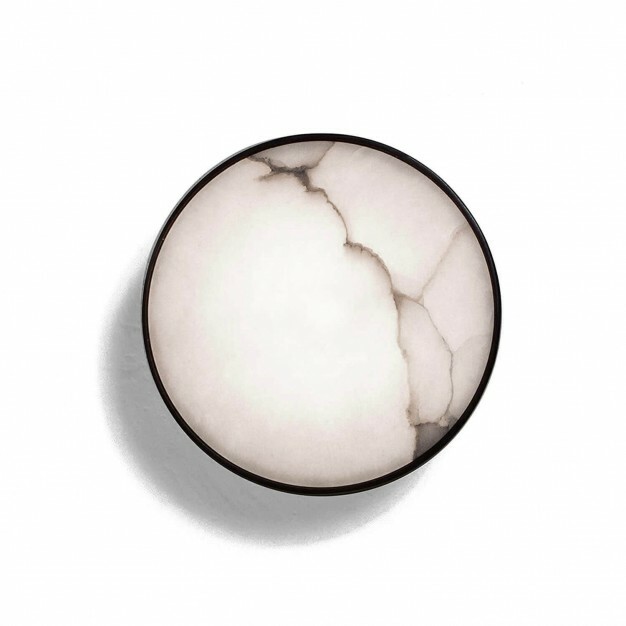 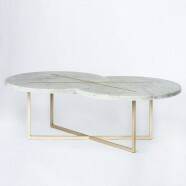 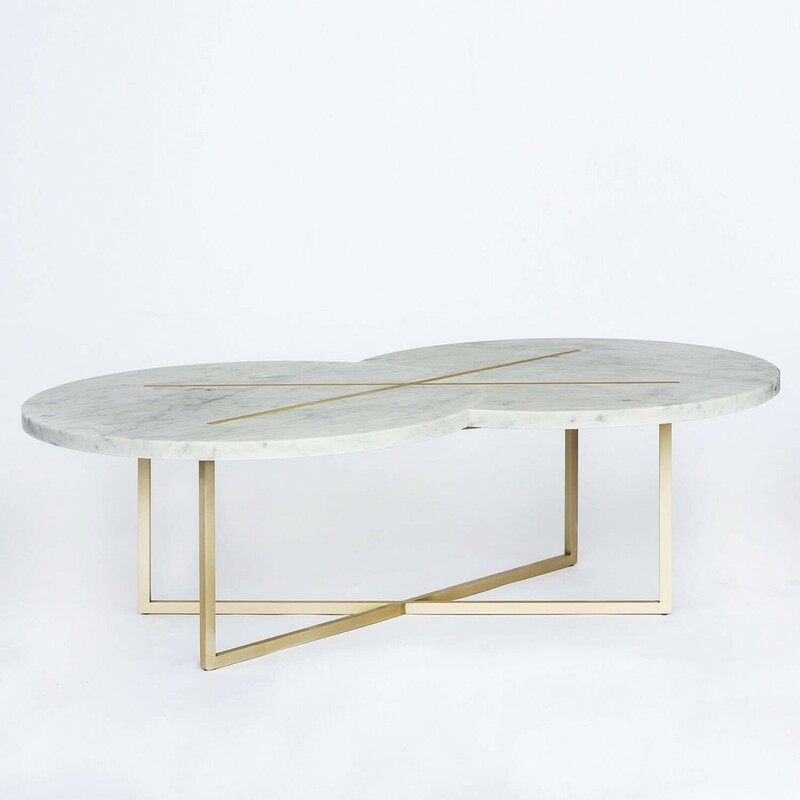 Expanding on the Eclipse table series, this coffee table features a moon form of white Carrera marble. 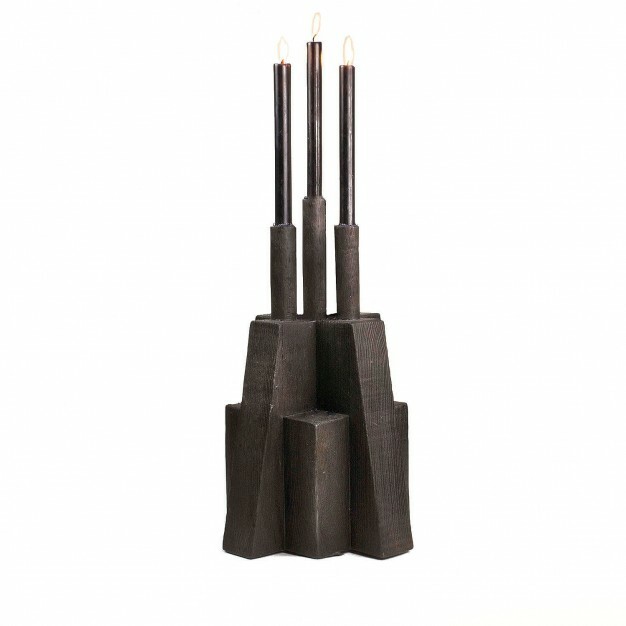 The slim tubular legs are made of solid brushed brass. 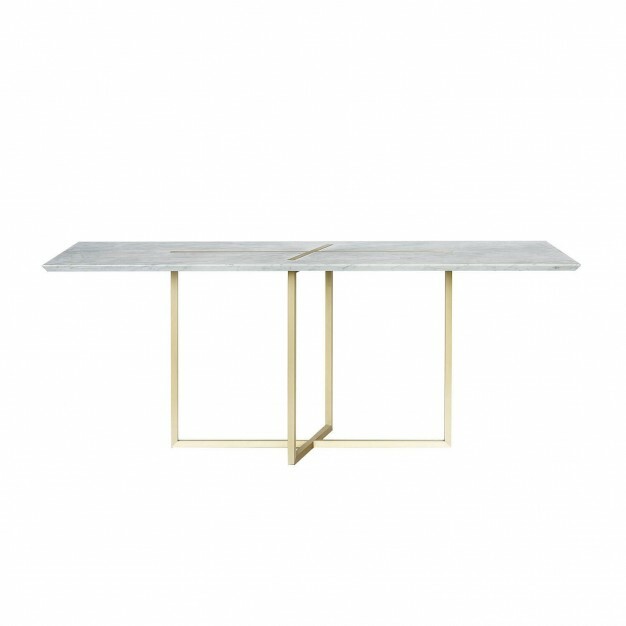 Material: White carrera marble and brass. 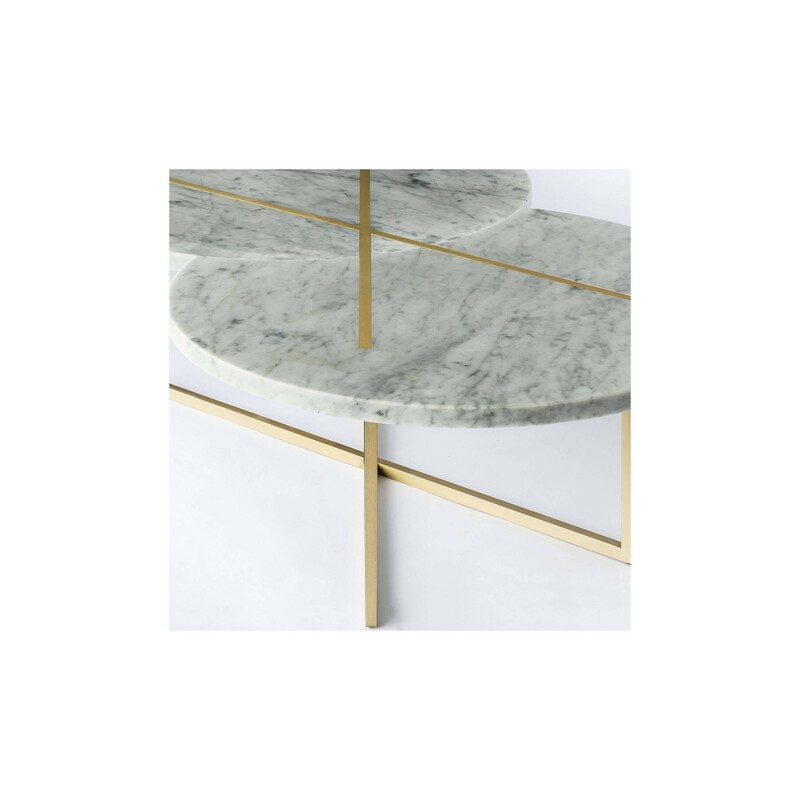 For custom sizes and colors, please contact us at [email protected], and one of our Customer Service Specialists will assist you. 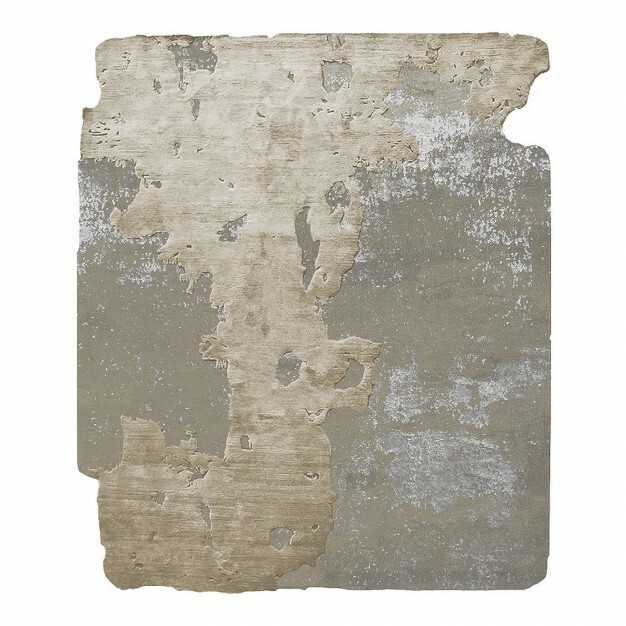 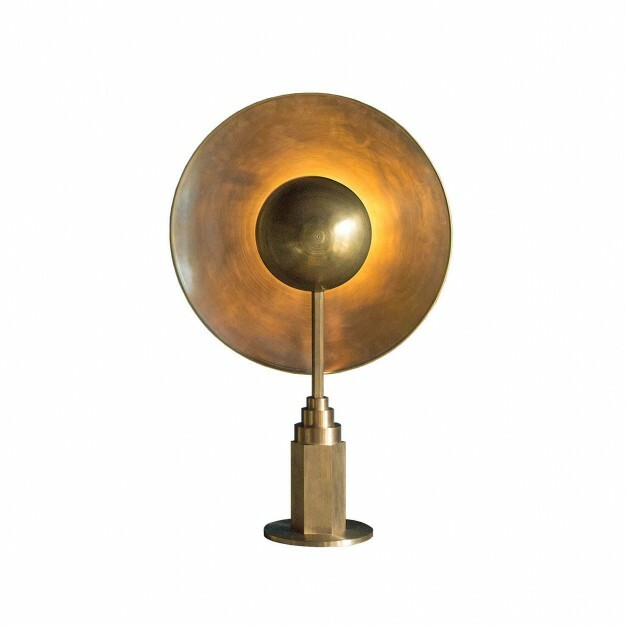 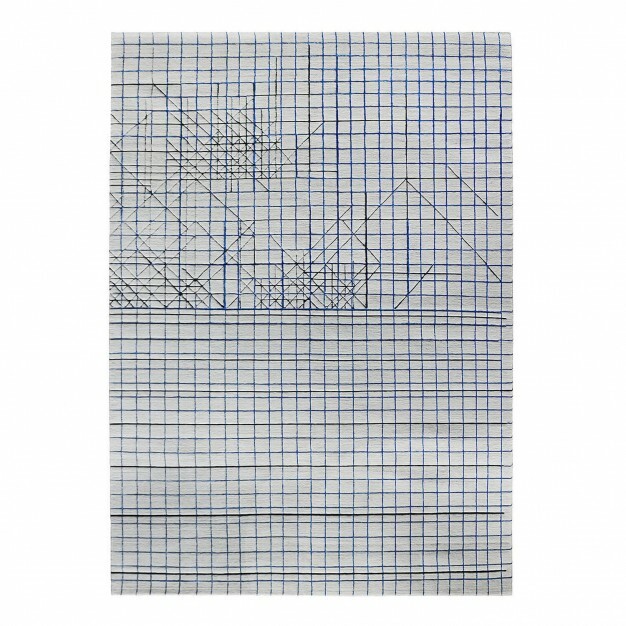 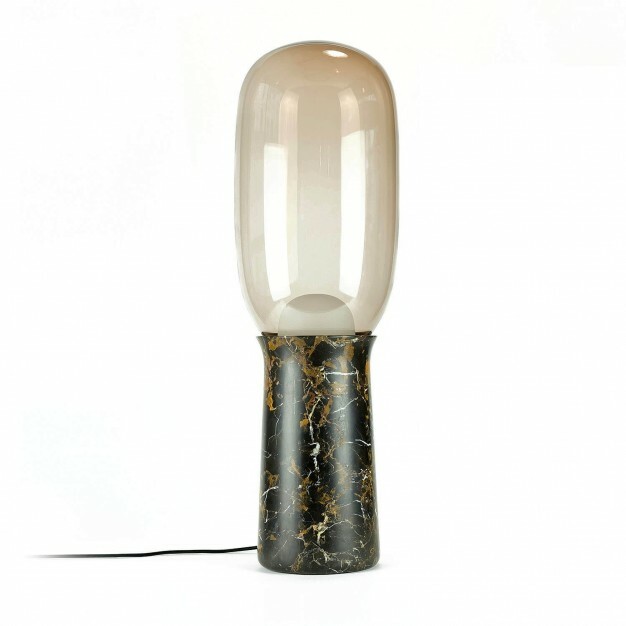 Pincovici’s work is characterized by a sense of modernity, sophistication, and refinement. 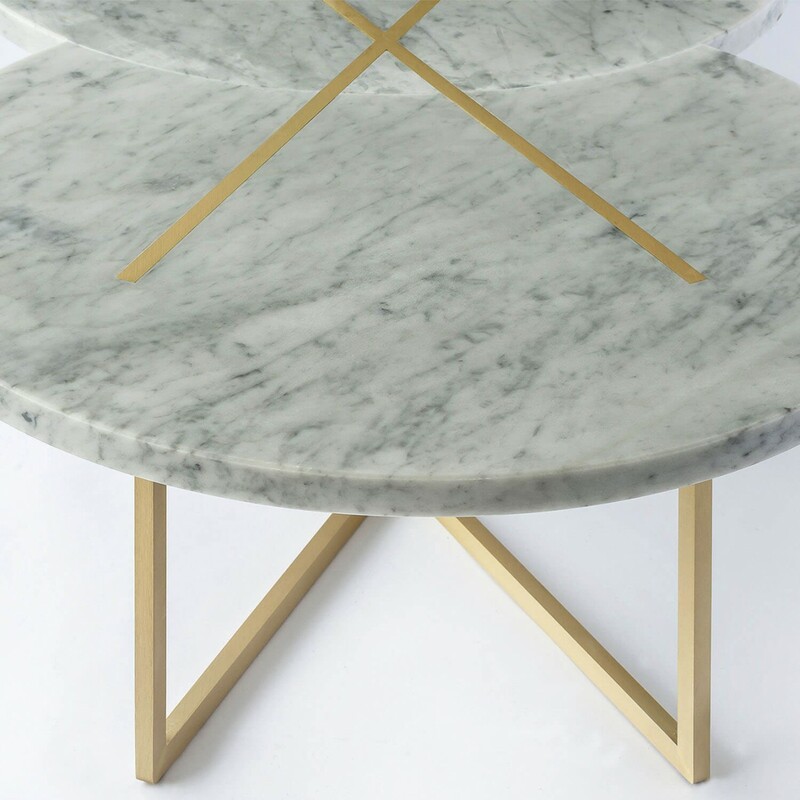 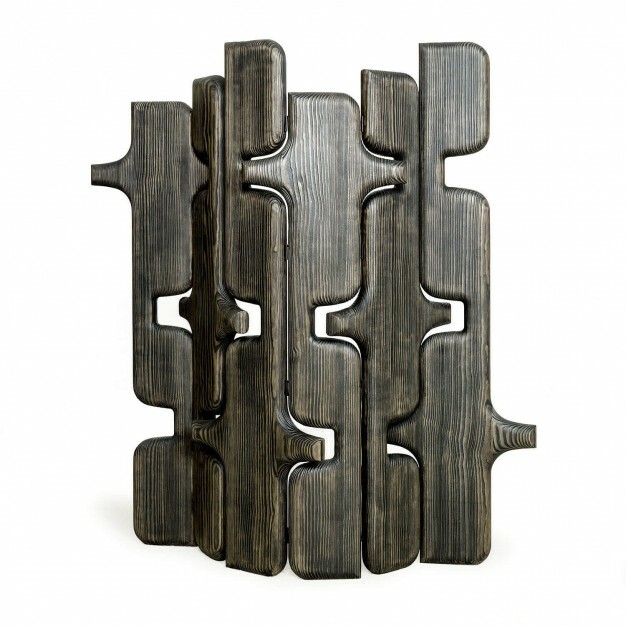 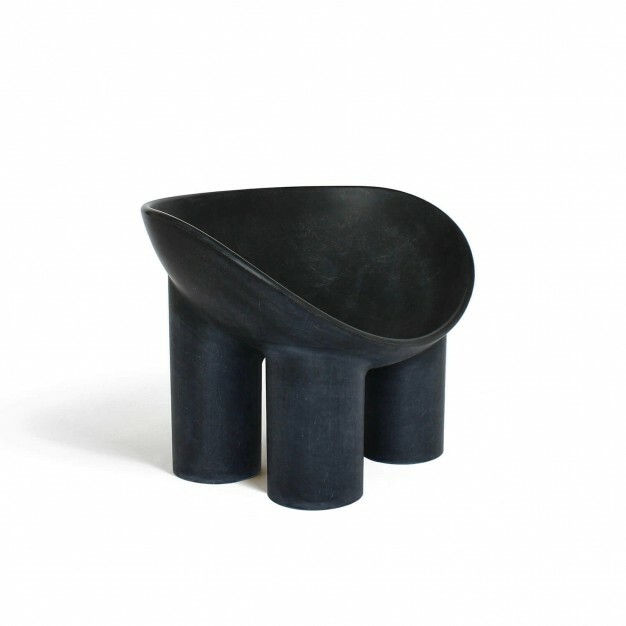 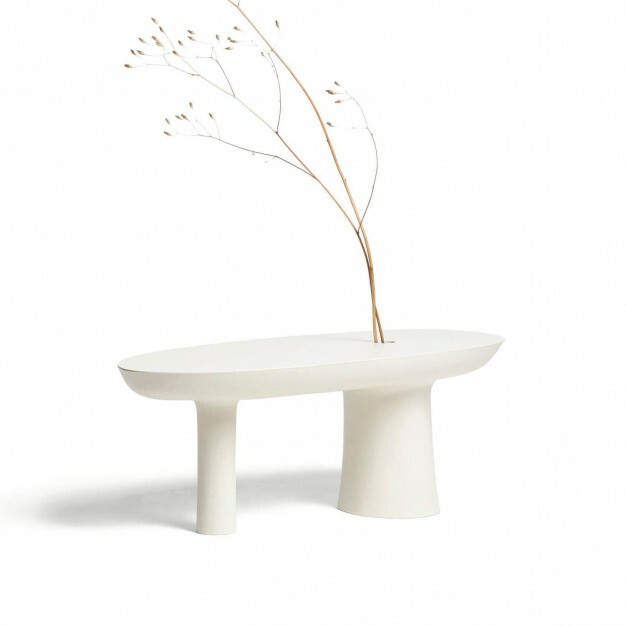 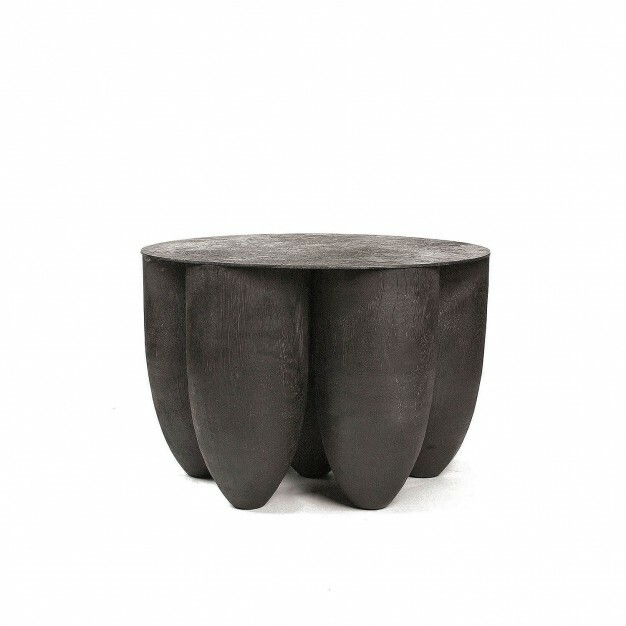 Notable furniture projects thus far include her handcrafted Metaphysics Collection (2014) and Eclipse series (2015). 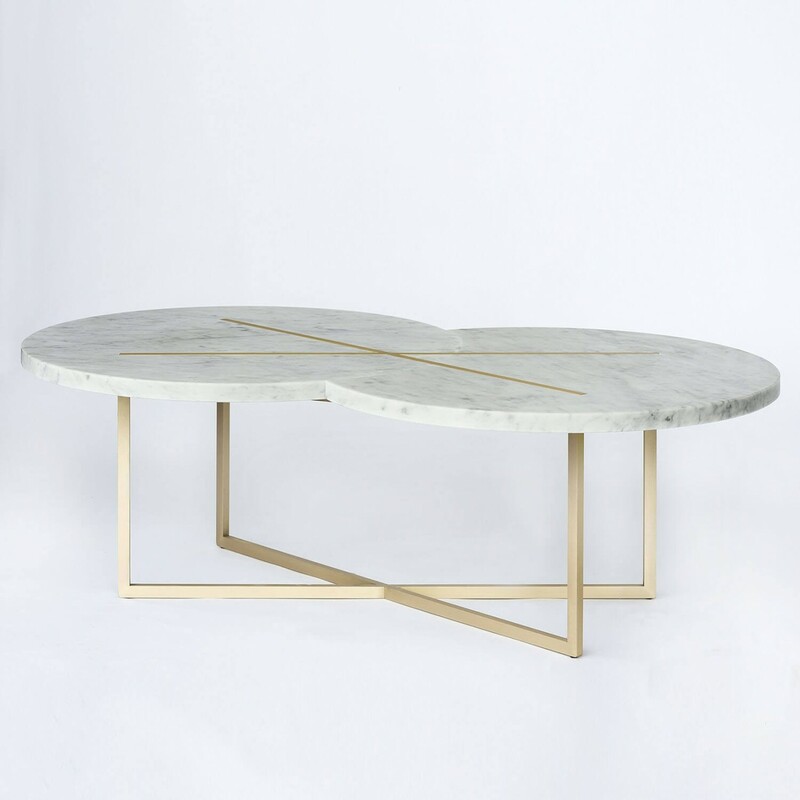 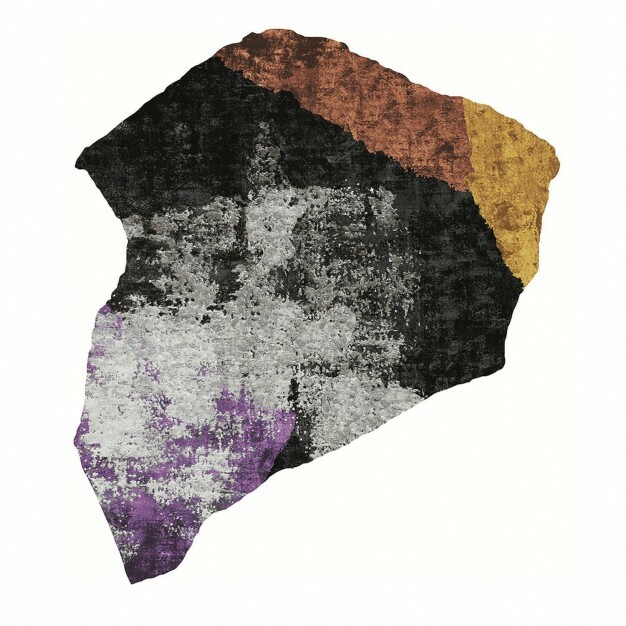 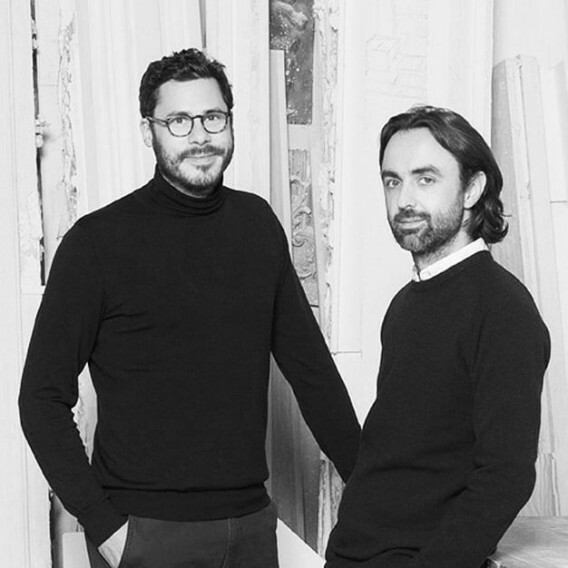 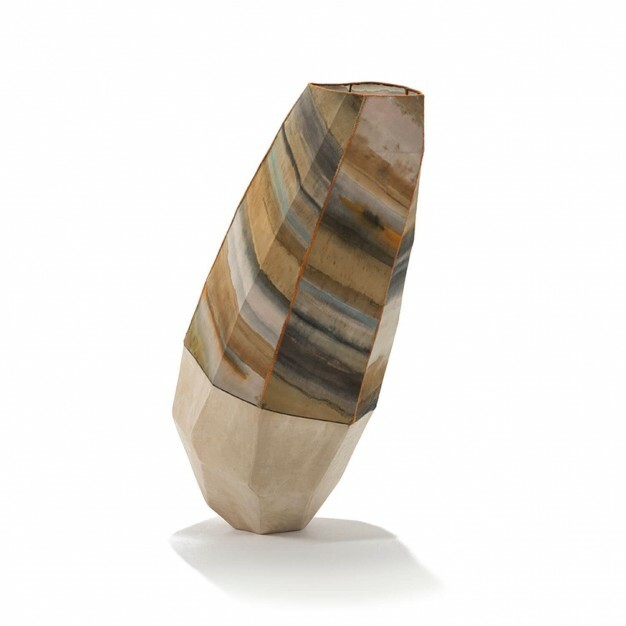 The former features Pincovici’s abstract interpretations of various artistic styles and practices, including Art Deco and aerial photography, while the latter was inspired by both the shape of the moon and the properties of white Carrera marble.